I’m a fan of Zinfandel. I’m a fan of Primitivo. I’m a fan of Apassimento. I’m a fan of big robust looking bottles. I’m a fan of Spaghetti Westerns. If you were to pull together a marketing focus group to design a bottle of wine I might buy, then this is probably what it would look like. We opened this one to drink in short intermissions whilst playing Red Dead Redemption 2. The sharp eyed among you will have noticed that RDR2 is a single player game, yet I said “we” were playing. The middle aged eyed among you will empathize with the fact that on video games the font is too small and things happen to quickly, and you can’t focus both on the action and the heads up display and the handy hints, so we play as a couch co-op with one person wielding the controls and the other spotting hazards and opportunities and shouting pointlessly about them. So, onto the wine. The bottle is reassuringly heavy and unlikely to be kicked over during a shoot out. It’s a deep dark red with some legs. It smells of fresh berries and cooked spice, with vanilla and cinnamon, like a blackberry crumble. It’s dry, but that fruit adds a sensation of sweetness. The fruit seems to turn more plum like in the mouth and the vanilla gives way to more intense spices with a bit of bite. The tannins are ripe. At 14.5% it’s more of a sipper than a glugger, and the flavor encourages a slow approach. There’s lots going on and it feels full bodied, full flavored and ready to take on the world. 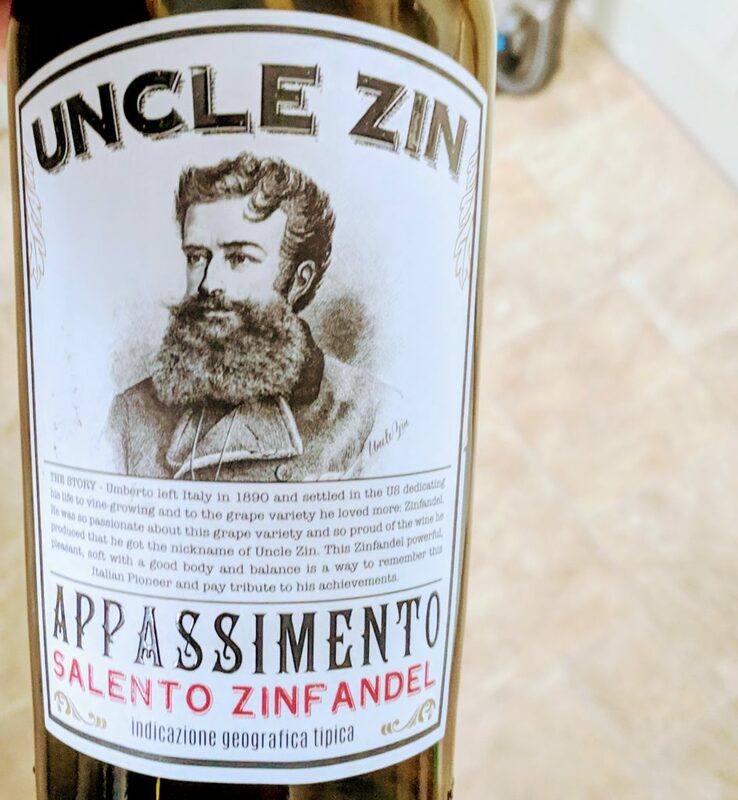 It’s an odd concept, an Italian wine, made from an Italian grape, in a very Italian Appassimento style marketed to look like an American wine, with the grape translated into American English. I can’t explain it, but I guess people know they like Zinfandel and are nervous of trying Primitivo, if it gets people to try something new then hurrah for odd marketing ideas. It’s sensibly priced and available through Laithwaites, so if you see it in stock, stock up.